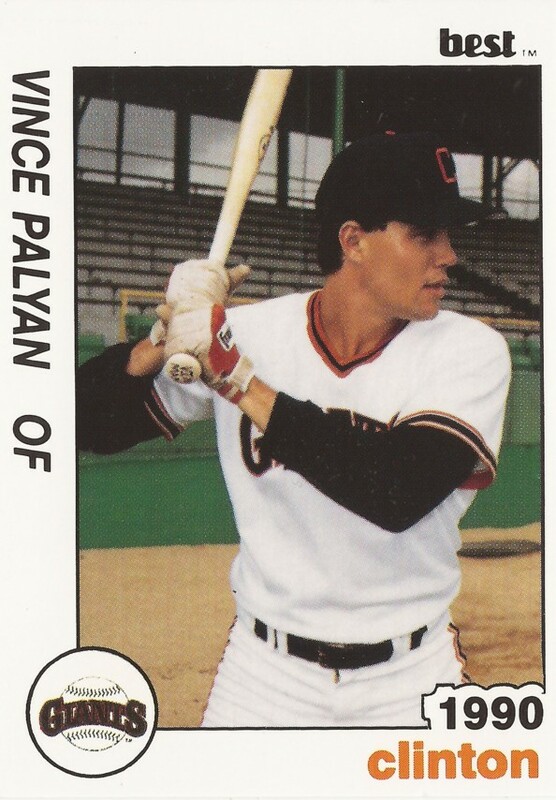 The Minnesota Golden Gophers won big in the first half of this May 1988 double-header and Vince Palyan was a big reason why, according to The Associated Press. Palyan hit two home runs, knocking in six, as his Gophers went on to a 15-3 victory, The AP wrote. Palyan went on to turn pro the next year, but his pro career ended up being brief. Palyan played just two seasons. He never made AA. Palyan's pro career began in 1989, taken by the Giants in the 42nd round of the draft out of Minnesota. He'd been drafted earlier in the 1988 draft, in the 18th round by the Twins. With the Gophers, Palyan scored nine runs in the 1988 Big Ten Tournament, still tied for the tournament record. He also made the All-Tournament Team and was named the Most Outstanding Player. Palyan started with the Giants at short-season Everett. He hit .277 in 56 games. He hit two home runs, knocking in 24 runs. He moved to single-A Clinton for 1990. He hit .262 in 95 games on the year. He had 35 RBI and 12 stolen bases. It was his final year as a pro.